Game day requires amazing finger food: appetizers, desserts, chips and dip, cute bite-sized veggies, etc. Great food needs loads of flavor to pack a punch on your Super Bowl spread! 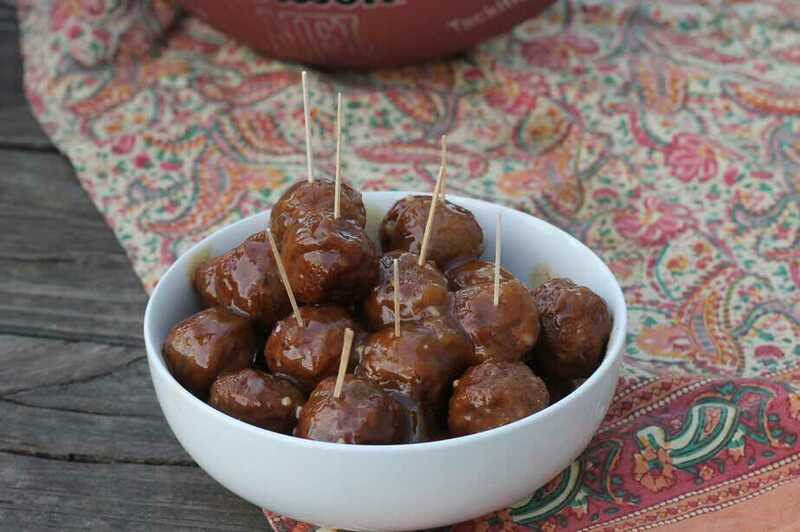 These Game Day Sweet-and-Spicy Chipotle-Pineapple Meatballs are the perfect lip-smacking treats to impress your guests and put them in the mood for some football watching. They have a tropical and exotic taste that is unique among all the traditional flavors of football food. I am not entirely sure whether it’s the food or the football that makes a great party, but I am leaning toward the food. Coat slow cooker well with nonstick cooking spray, or use a slow cooker bag for easy cleanup. Place all ingredients in bottom of slow cooker on low heat. Cook for 2 to 3 hours on low heat, stirring occasionally. Reduce heat to warm to serve from slow cooker, or transfer to a heat-safe container and serve with toothpicks for easy snacking. 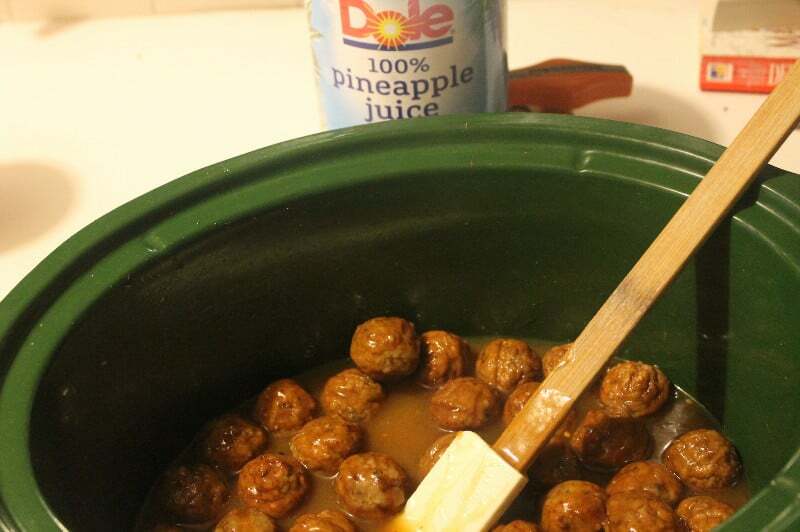 I make sweet and savory meatballs too but I have never tried them with pineapple. This is certainly something I will have to do! That looks so yummy! This is perfect for parties as well. I love chipotle flavor! I bet it goes great with meatballs! Our church served something similar to these recently at an event! I’m so glad I found a recipe! Mmm now these I can get down with! They look amazing! I’m a sucker for anything pineapple, I just love it! Those look so delicious! 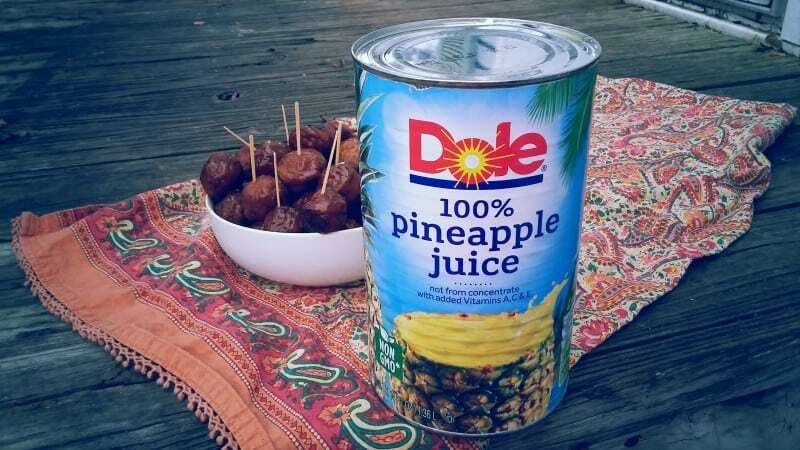 The brown sugar with the pineapple juice would go so well together. I need to save this recipe to try. Thanks for sharing it! These are perfect for super bowl. I love meatballs. Yum!!! These sound delish tho maybe a bit sweet. I’m going to try it with my own meatballs. Did you make it in the slow cooker for ease or do you think that contributed to the flavor coz I was thinking of making them on top of the stove. Thank you for the recipe for the sauce! I think you could do either. 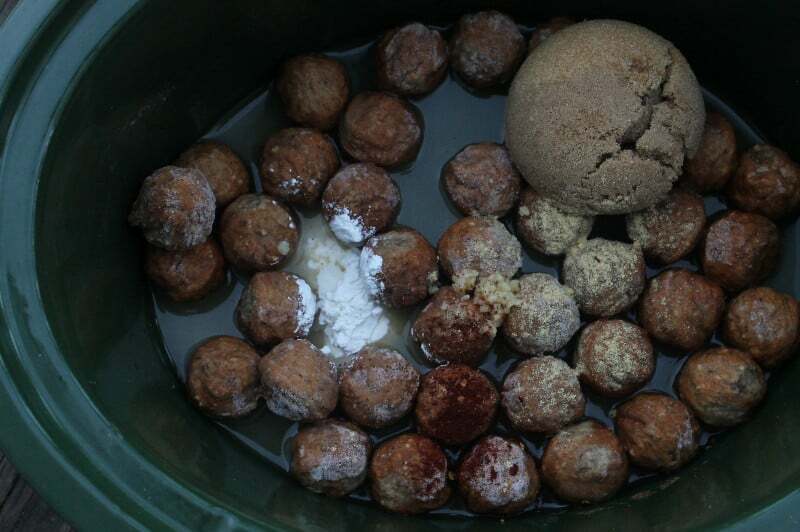 These meatballs look so delicious. I will have to make some this weekend. My Daughter loved meatballs and rice. Oh my goodness, my mouth is watering. I love the combination of chipotle and pineapple. Like hot with sweetness. Sounds amazing. Thanks for the recipe. I’m beginning to think I’ll need to add these to my party appetizers! Yumm-o! 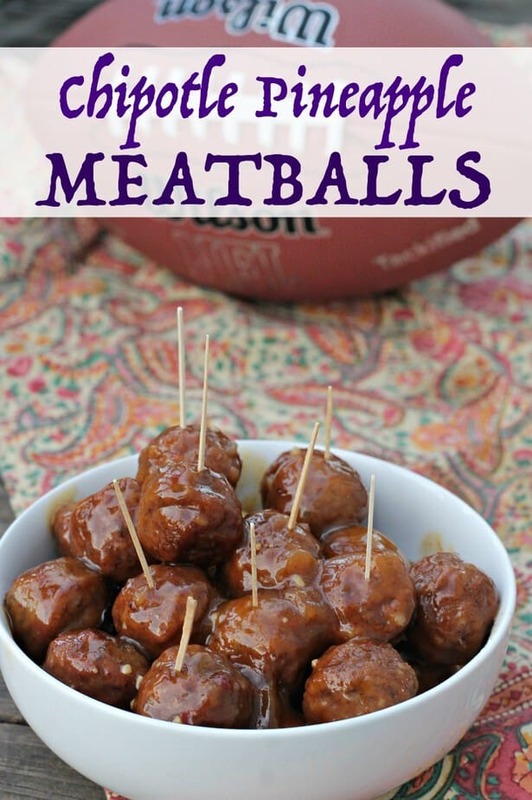 These are PERFECT for my super bowl party next weekend. NOM.